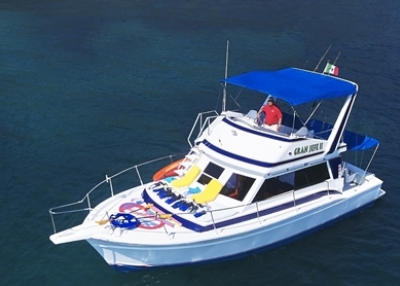 Vamonos Fleet, is the most succesful Fleet on Sport Fishing in Zihuatanejo-Ixtapa Area, due that has the best captains from the area, expert on Sportfishing, Deep Sea Fishing , Marling, Sailfish,Tuna, Wahoo, and Big Dorados, Vamonos Fleet has 3 Bertram boats , Vamonos II Has Air Conditioned, his Captain Rene Morales has 20 Years of experience. Transportation Htl-Pier, Drinks, Direct Deals, Best Price Guaranteed, Bilingual Crew. Welcome to Fish in Ixtapa Zihuatanejo, Extraordinary Fishing Action on a wonderful small Mexican community on the west coast of the Pacific. Our sleepy fishing village is blessed with some of the best weather a sport fisherman could ask for. Captain Temo Verboonen forwarded an excellent fishing report for the past week that reflected very exciting fishing for the anglers for the inshore and off shore waters. 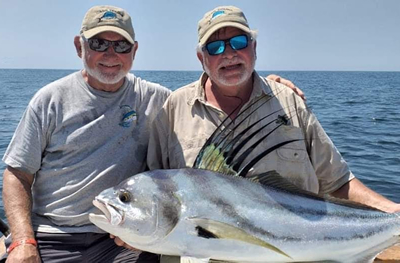 Sailfish, Dorado, Marlin, (both stripers and blues) and yellowfin tuna were offering exceptional fishing opportunities that started just over a mile offshore from the entrance to the Bay and on out to the 20 mile mark. The captains... experts saltwater fly fishing guides for Large Pacific Sailfish and Dorado found in great numbers right off the coast of Zihuatanejo , Mexico. The techniques they have perfected make them the best choice for the Avid Fly fisher who wants to experience the ultimate fly fishing challenge: Catching Large Billfish on the Fly! One of the best fishing spots on the pacific side., ixtapa & zihua has everything that pro anglers and tourist alike dream to find: safety, comfortable facilities, short distances and a nice variety of fish. 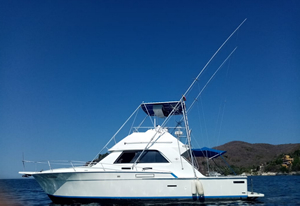 off shore targets: sail fish, marlin ( black, blue, striped ), mahimahi, tuna… inshore targets: mahimahi, wahoo, rooster, snoek, jack, snook, bonitos… when inshore you can also spend some time at manzanillo or the island. 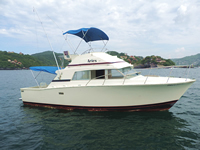 Ixtapa Sporfishing Boats has choosen a variety of good fishing charters and captains in Mexico. These Boats and captains are well know for their high level of service and experienced in the industry of sportfishing. 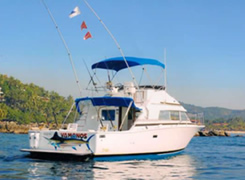 Come and enjoy a tour with us on the Mexican Pacific Waters aboard one of the most luxurious yachts in Ixtapa Zihuatanejo Mexico, or enjoy an exciting fishing day in this wonderful place. 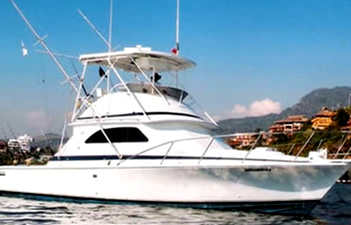 You can enjoy the comfort and service that we provide on board these luxury yachts located in the Marina of Ixtapa,where we will depart for any fishing trip or pleasure ride. 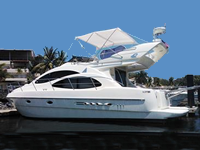 (The Marina Ixtapa is located only 5 minutes from the hotel zone). My name is Ulises solano. I was born and raised in Zihuatanejo. This is my town and I know that it has a lot to interest a tourist. I provide a first class personal car tour service.I have been in this business for 13 years and enjoy my job. My desire is to help visitors have a memorable experience. I can offer you transportation roundtrip from the airport to the desired destination. Service is private and secure. 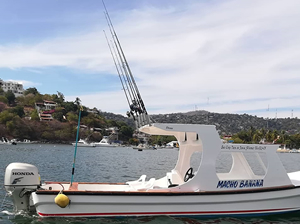 Sportfishing in Ixtapa Zihuatanejo, Mexico - Come and fish with the best crew of Ixtapa, the most well-known captains, Jaime Morales and staff, winners of the Ixtapa-Zihuatanejo Billfish Tournament and the Lazaro Cardenas, Michoacan, tournament. These expert fishermen are waiting for you to catch the big ones - Sailfish, Marlin, Mahi-Mahi - on your deep-sea fishing trip. We also offer small game fishing - Black Tuna, Yellow Tail, Bonito, Jack Cravelle, etc. We practice catch-and-release fly fishing as well. Our team has created custom boat charter packages, itineraries & programs for Families & Groups of all sizes & budgets for over a Decade and we look forward to assisting you in creating your special day on the water. It has never been easier and enjoyable. 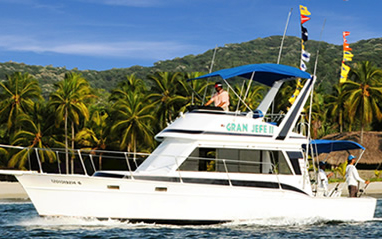 Enjoy with your family or Convention, the best of Ixtapa & Zihuatanejo, Find the boat that suit your needs better, we have the largest variety of vessels, from small boats to luxurious yachts and fun Party boats to sailboats. Apply for 10 % discount. These fishing boats have been selected for their high level of service and their experienced captains.